Let’s say that a certain boss I report to asks me about an email she sent me, and I’m desperately trying to find it so I don’t look dumber than normal. 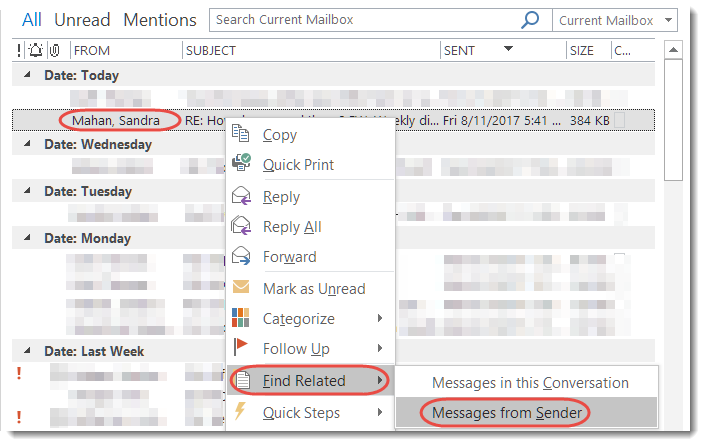 This Outlook trick can quickly filter down all my emails to only the items she sent me. Next Did you know about the “spike” function in Word?